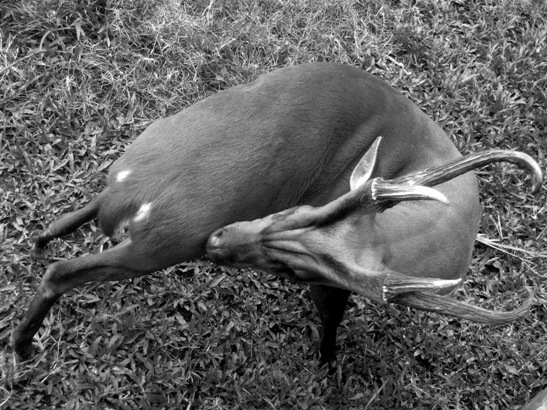 The deer located at the Ragunan Zoo (Jakarta, Indonesia). To get the desired perspective, my husband had to climb a bit the fence when taking pictures. Excellent photo! I love the shape of the horns seen at this angle. That looks like a very busy deer, quite oblivious of the camera. Great shot of the deer.